Know that your needs will be met by your most gracious Father in Heaven. How often do you feel like this? How often do you feel the “lemons” in life and wonder why? Why can’t I have a fairy tale? Why is life so hard? Why can’t I just get what I want? God is so good. He’s an amazing Father. He looks at all of His children and He knows their wants and their needs. The Lord meets our NEEDS. He knows better than you or me. Sometime the things we WANT will hurt us so instead He gives us something better. Instead of being thankful for that better thing I so often question why I couldn’t have my want. As The Lord brought these memories to my attention this morning I began trying to think of what I am most thankful for today. I tried to think of what I should be thankful for every day but don’t often stop to thank God for. My mind landed on salvation. Through His death on the cross, Jesus freely gave us what we don’t deserve. Jesus isn’t about keeping a set of rules and doing great things or good deeds that make you good enough to receive eternal life, salvation through Him. Instead, salvation is about simply receiving Grace. Grace is getting what you DO NOT deserve in the sweetest display of love the world has ever seen. 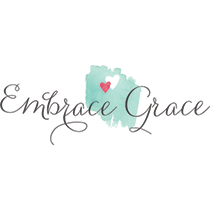 Grace (in basic terms) is the freely given and unmerited favor and love of God. It’s accepting the forgiveness God offers and beginning a new relationship with Him. Grace is not mercy. God is full of mercy! But mercy and grace live in two different categories. To break it down to the most basic level, mercy is an act of being spared from judgment. It is NOT getting what you do deserve. Grace is a gift that is everlasting. Nobody deserves salvation but through grace it is given freely to us. And this type of grace is a gift that only God can give. It’s all about receiving. And it’s all YOUR choice. The Lord loves His kids. The song “Amazing Grace” comes to mind. “Amazing Grace how sweet the sound that saved a wretch like me! I once was lost but now I’m found; was blind but now I see.” Grace sets us free. It cancels our imperfections and our past mistakes. Grace says that anyone can receive the amazing gift of salvation because your past is no longer. You can have new life in Him. This gift of Grace frees us from thinking we are beyond help and beyond hope. You may not deserve grace, but you get it anyway. When I think of Gods grace I no longer feel like I’ve been handed a bunch of lemons. I no longer question why my wants are no longer met. Jesus paid my way. He gave me a gift nobody else could. When I think of Grace I am thankful. I know that my needs have been and are continuing to be met by my most gracious Father in heaven. He is so good. Today I choose to be thankful.